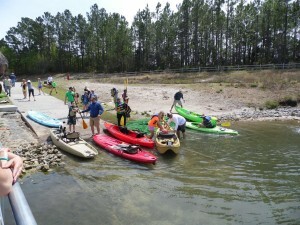 Join Hook, Line and Paddle Canoe and Kayak Outfitters at Smith Creek Park on Saturday, April 2nd from 11am-3pm for the Spring Kayak and Paddleboard Demo Day! The event is FREE and participants will be able to test out various styles of kayaks and standup paddleboards. Native Watercraft and Wilderness Systems representatives will be on site to answer all of your questions. Native Watercraft Pro-Anglers will also be on site to answer questions about the sport of kayak fishing.